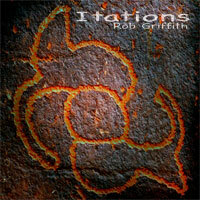 Itations is a collection of new and unfinished work. This collection will change and grow over time and is only available here at nyahmusic.com. $0.99	MP3 Single (4:19). This song is featured in a collection titled Itations, and is only available here. $0.99	MP3 Single (5:04). This song is featured in a collection titled Itations, and is only available here. Reggae. $0.99	MP3 Single (2:39). This song is featured in a collection titled Itations, and is only available here. RnB. $0.99	MP3 Single (3:53). This song is featured in a collection titled Itations, and is only available here. $0.99	MP3 Single (6:39). This song is featured in a collection titled Itations, and is only available here.